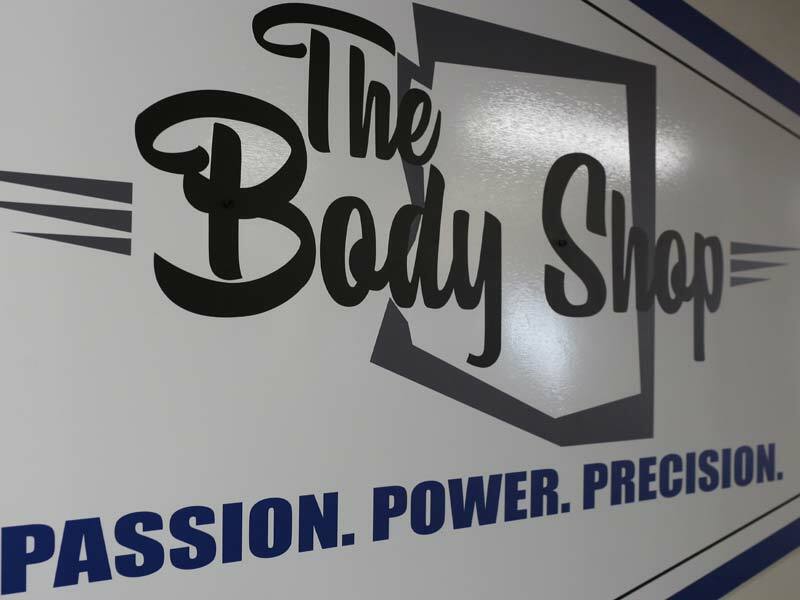 The trainers and coaches at The Body Shop Gilbert offer top-notch private, personal-training in a clean and welcoming atmosphere. 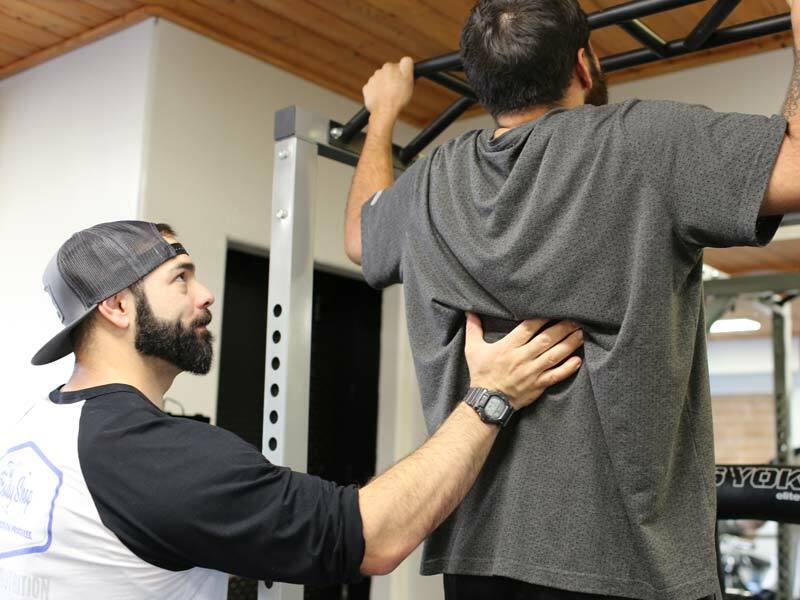 They will help you reach your personal fitness goals by providing options for all abilities and fitness levels. 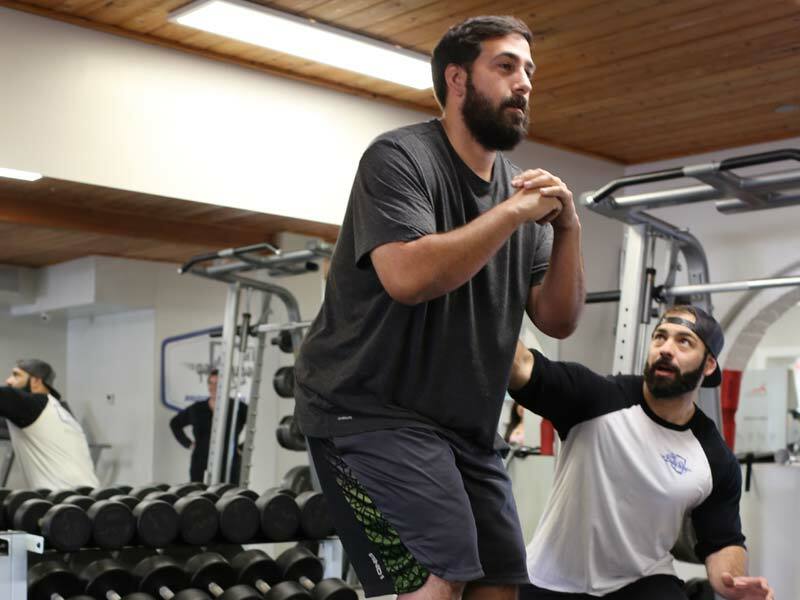 Whether you’re an athlete looking to cross train, someone looking for the first step toward their fitness journey or coming back after an injury, The Body Shop Personal Training Studio is for you. Tom Jeffree is an INBA/NPC competitive bodybuilder, trainer, prep coach, and macro-nutritionist. 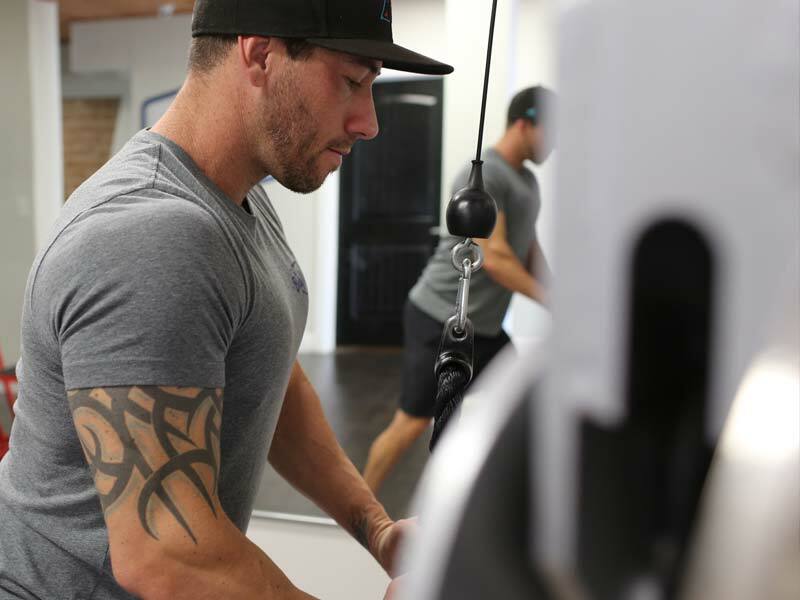 Tom has over a decade of experience in training and nutrition. He began competitive bodybuilding in 2007, and in that time has won his class in two NPC contests and three natural overall titles. Tom’s background is athletics. He played NCAA football at St.Lawrence University in New York, where he graduated with a Bachelors degrees in American Literature and Education. 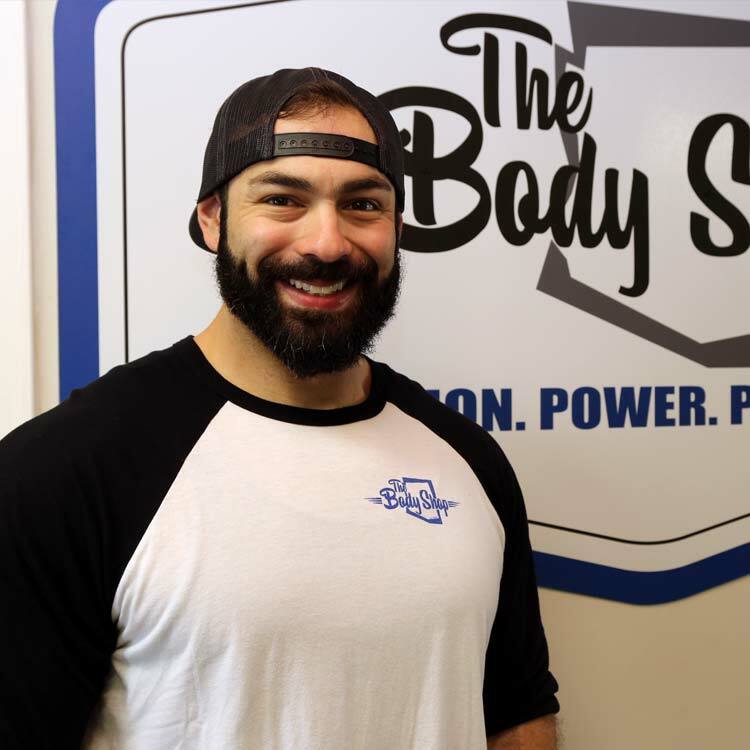 He began working with TheBodyShop co-founder, Erik Young, to prepare for a bodybuilding competition in early 2013. They have been working together since. Erik Young is an NPC competitor, macro-nutritionist, personal trainer and a passionate nutrition professional. Erik is well versed in the realms of macronutrients, with over 5 years of developing successful meal programs for individuals varying from stay-at-home moms to national level and pro competitors. Erik was born in Indiana and moved to Arizona as a young boy. 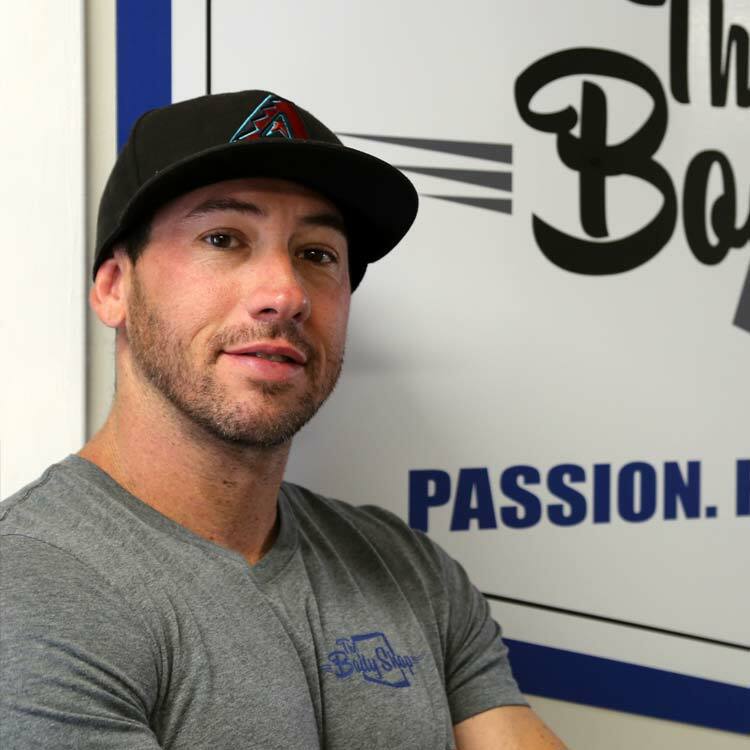 Residing in Gilbert, AZ with his wife and 2 kids Erik enjoys living an energetic and healthy lifestyle. Erik most recently competed March 2014 in an NPC bodybuilding competition, placing 1st in open middleweight. Erik despises the idea of fad diets, overnight weight loss trends and the misuse of appetite suppressants. Erik’s formula for success involves properly educating individuals, developing a plan based on their specific food preferences and leading clients down the road to long-term sustainable success. Stefania Messina is a Nationally qualified NPC bikini competitor, personal trainer and macro nutrition coach. 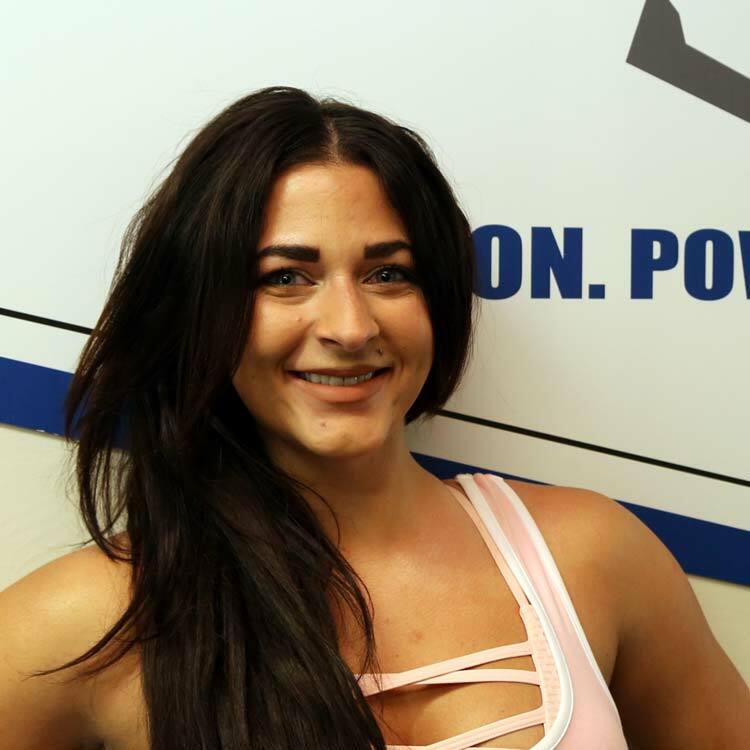 Stefania has experience in weight loss, strength and conditioning as well as injury prevention. Whether you want to lose weight, just feel good or get into competition shape she believes in a balanced lifestyle without having to sacrifice the foods you love. Stefania grew up in Naples, Italy and was always very active growing up playing soccer, softball and cross country. 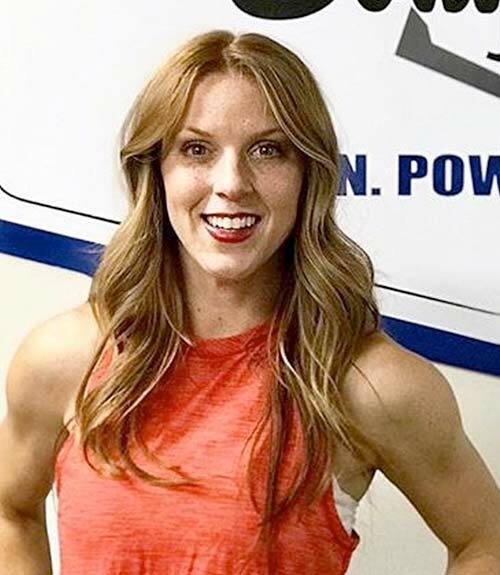 As she got older she needed a new goal and started to pursue fitness competitions and has been hooked ever since. She won her class in her first competition and continues to compete at a national level. She also went to Arizona State and received her Bachelor's in Exercise and Wellness. She has a background in physical therapy and can help with injury prevention as well as being knowledgeable while working with people who have had previous injuries. She resides in Gilbert with her husband where she enjoys a healthy and balanced lifestyle as well as the outdoors. Stefania believes that fitness and food go hand in hand and no one should have to be restricted to reach their goals. She believes balance between the two is absolutely achievable and it’s never too late to start towards a better, healthier you. When you work with an online nutrition coach, the coach will create three tailored meal plans based off of food you like. These meal plans are not the standard boring foods like tilapia, asparagus and sweet potatoes. You have access to over 650 food items to choose from to help us create the right meal plans for you. Kari is passionate about helping clients overcome the vicious cycle of fad diets and getting a grip on their relationship with food. After struggling with an eating disorder from the young age of 14, she now has the tools to fuel her body without the guilt associated with eating “bad” foods vs “good” foods. Nothing is off limits anymore. No more restricting, no more feeling deprived. She teaches clients how to incorporate the foods they love into their daily lives while still making progress with weight loss goals. Kari is a small town girl who grew up in South Dakota and moved to Arizona in December 2014. She’s a busy mom who has found a way to put her fitness and health at the top of her priority list so that she can be the best mom to her kiddos. Redd competed in several NPC bikini competitions in 2014-2015. During this season of competing, Redd had to self-teach macro-based food plans due to her high sensitivity to common fueling foods. It was on that journey that she developed a passion for food knowledge and coaching others. Food is fuel! One of he favorite sayings is, “You can eat anything but just not all at once.” - Bethenny Frankel In other words you can eat a chocolate chip cookie and not get fat, but if you eat a bunch of cookies all at once weight gain will occur. Balance. 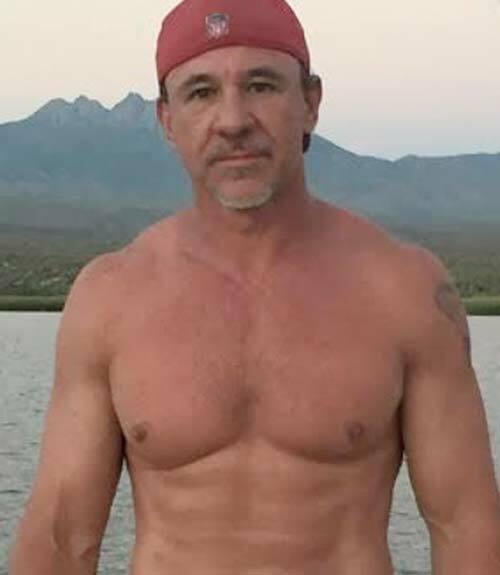 Bobby is a 51 year old client turned coach and eager to help you achieve your nutrition and fitness goals. Bobby has always had a knowledge of proper nutrition from being a type 1 diabetic for over 25 years. He was trained on nutrition at the Mayo Clinic with a focus on diabetes. In combination with his proven nutritional knowledge and joining forces with the Body Shop Bobby made a body transformation any 50 year old would be proud of. Bobby is a sports nut who played baseball at the college level. He has been married for 29 years to his wife Shannon and has 3 beautiful daughters. Bobby is a Arizona Cardinals season ticket holder and tailgates for every home game. This does include all the tailgating staples including burgers, wings, hotdogs and much more. Bobby is living proof age is just a number, You can enjoy all the foods you love while hitting your goals and enjoying yourself along the way. If you are interested in learning more about Bobby's journey and would like to start a journey of your own reach out to Bobby as a nutrition coach today!